Burnham, George. 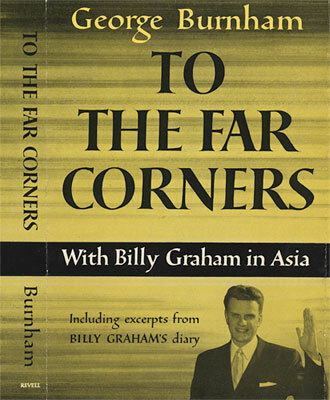 To the Far Corners: with Billy Graham in Asia, Including Excerpts from Billy Graham’s Diary. [Westwood, NJ]: Fleming H. Revell, . 160 p., 22 cm. Dust jacket design. Bunch, Josephine, and Christopher Bunch. Prayers for the Family. [Westwood, NJ]: Fleming H. Revell, . 62 p., 17 cm. Dust jacket design. 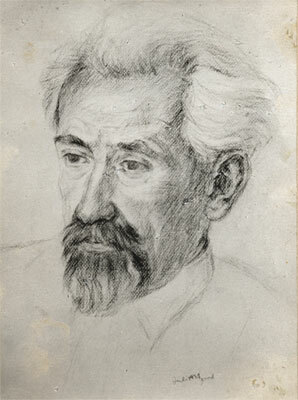 When Ismar began his art training at Berlin’s Städtische Kunstgewerbe- und Handwerkerschule, Charlottenberg, he thought he would be a portrait artist. His training at the Municipal School for Arts and Crafts lasted from 1928-1932. This drawing carries the date Juli 1931. Buckmaster, Henrietta. 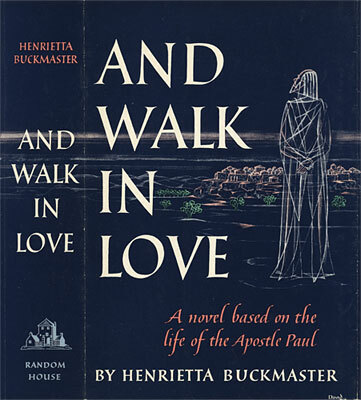 And Walk in Love: A Novel Based on the Life of the Apostle Paul. New York: Random House, . 404 p., 22 cm. Dust jacket design. Buckler, William Earl. Novels in the Making. Literature in the Making series. Boston: Houghton Mifflin, 1961. 266 p., 21 cm. Paperback cover design. 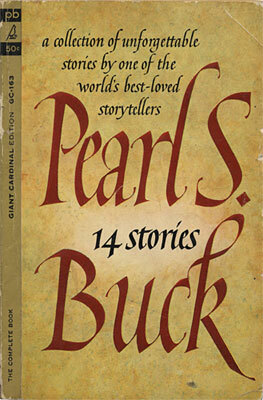 Buck, Pearl S. Fourteen Stories. Giant Cardinal edition. New York: Pocket Books, 1963. 229 p., 16 cm. Paperback cover design. Bruce, Claire. 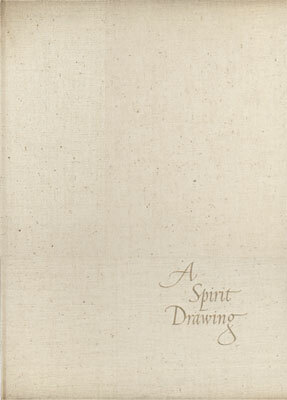 A Spirit Drawing, by Claire Bruce, Rendered Posthumously. 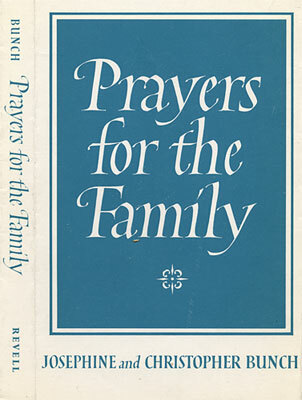 New York: Privately Printed, 1960.  l, 38 cm. 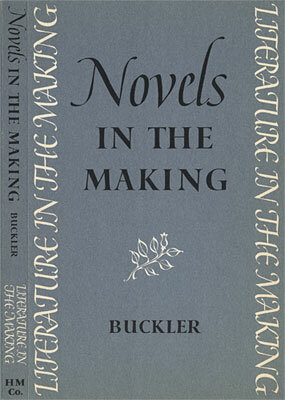 100 copies of this book printed by James Hendrickson at the press of William E. Rudges’s Sons, New York. Lettering for binding. 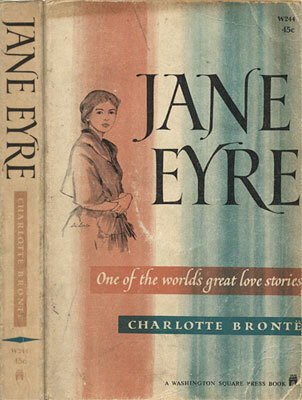 Brontë, Charlotte. Jane Eyre. New York: Washington Square Press, 1960. viii, 517 p., 17 cm. Paperback cover design. 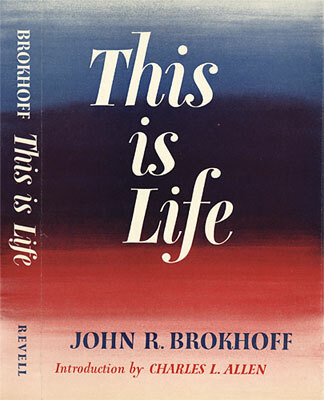 Brokhoff, John R. This is Life. Westwood, NJ: Fleming H. Revell, . 126 p., 21 cm. Dust jacket design. 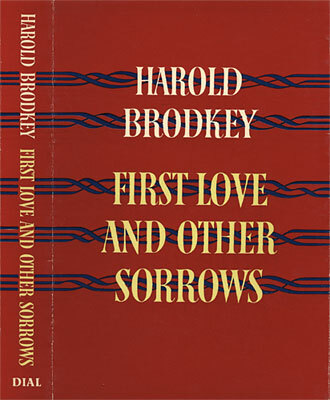 Brodkey, Harold. First Love and Other Sorrows. New York: Dial Press, . 223 p., 20 cm. Dust jacket design. Bro, Margueritte Harmon. More Than We Are. Rev. and enl. ed. Harper ChapelBooks, CB7. New York: Harper & Row, . 177 p., 21 cm. Paperback cover design. Bristol, Lee Hastings. 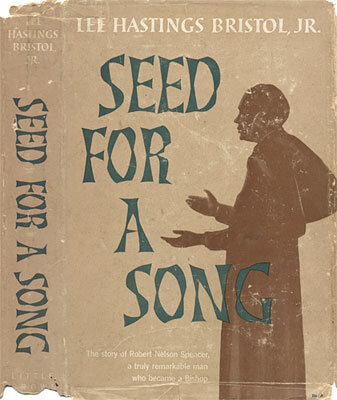 Seed for a Song. Boston: Little, Brown, . 244 p., 21 cm. Dust jacket design. Bowers, Claude Gernade. 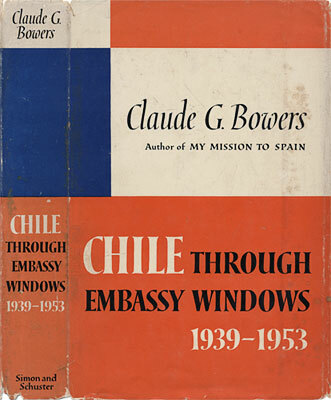 Chile Through Embassy Windows, 1939-1953. 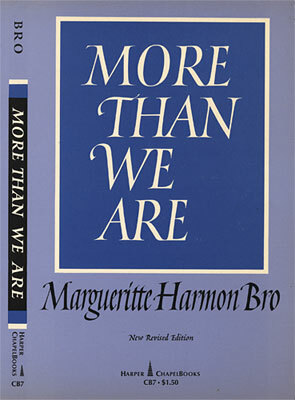 New York: Simon and Schuster, 1958. ix, 375 p., 24 cm. Dust jacket design. 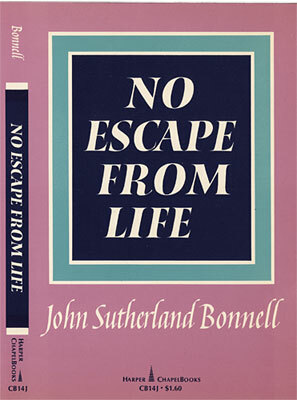 Bonnell, John Sutherland. No Escape from Life. Harper ChapelBooks, CB 14J. New York: Harper & Row, . 215 p., 22 cm. Paperback cover design. Bonnell, John Sutherland, et al. 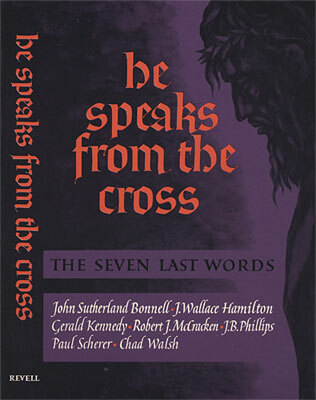 He Speaks from the Cross: The Seven Last Words. [Westwood, NJ]: Fleming H. Revell, . 126 p., 21 cm. Dust jacket design. Bolton, Sarah Knowles. 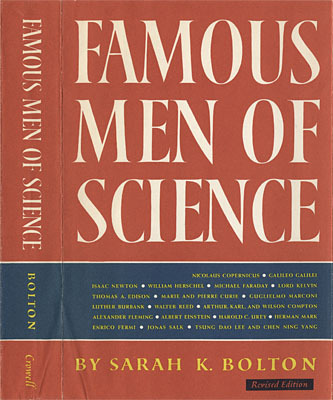 Famous Men of Science. Revised by Barbara Lovett Cline. 4th ed. New York: T. Y. Crowell, . 326 p., 21 cm. Dust jacket design. 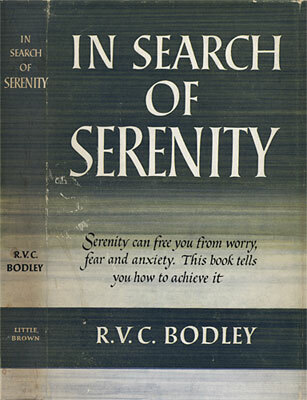 Bodley, Ronald Victor Courteney. In Search of Serenity. Boston: Little, Brown, . 176 p., 21 cm. Dust jacket design. 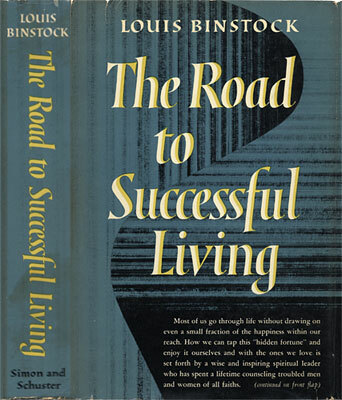 Binstock, Louis. 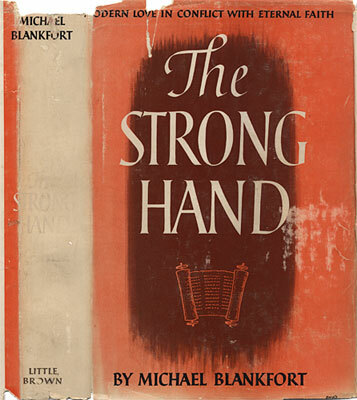 The Strong Hand. Boston: Little, Brown, . 318 p., 22 cm. Dust jacket design. Binstock, Louis. The Road to Successful Living. New York: Simon and Schuster, 1958. 307 p., 22 cm. Dust jacket design. Bible. 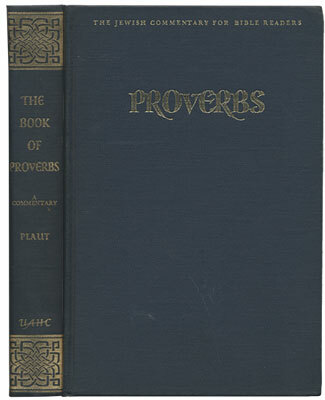 The Book of Proverbs: A Commentary, by W. Gunther Plaut. Commission on Jewish Education of the Union of American Hebrew Congregations and the Central Conference of American Rabbis, Union Adult Series, New York: UAHC, 1961. xi, 339 p., 24 cm. Binding design.